So, I’ve been on a Star Wars kick lately with the new movie due out soon. 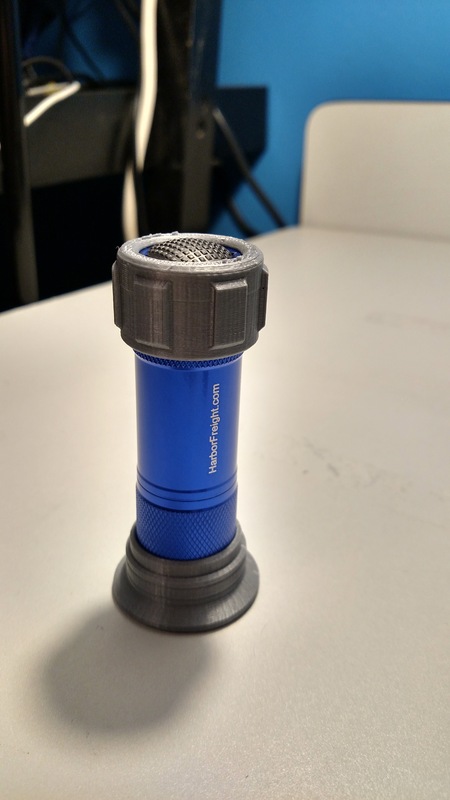 What better way to celebrate than to make a mini flashlightsaber with a flashlight from Harbor Freight and some 3D printing? 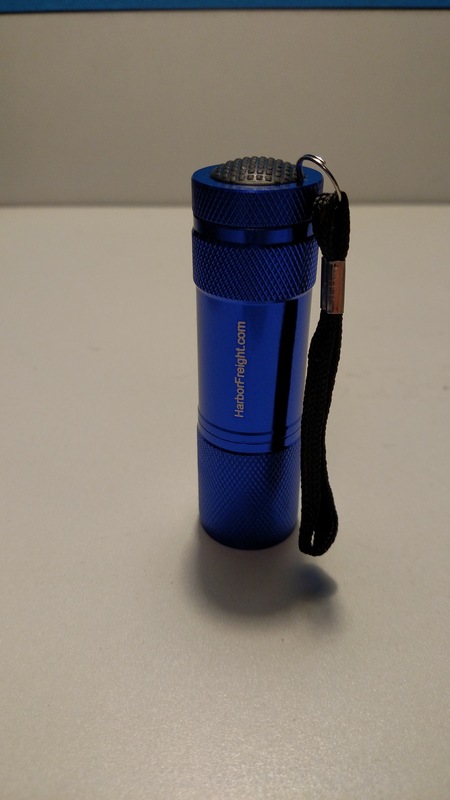 Mini flashlight from Harbor Freight – you can get two of them for $2! Glue – my first attempt used superglue. 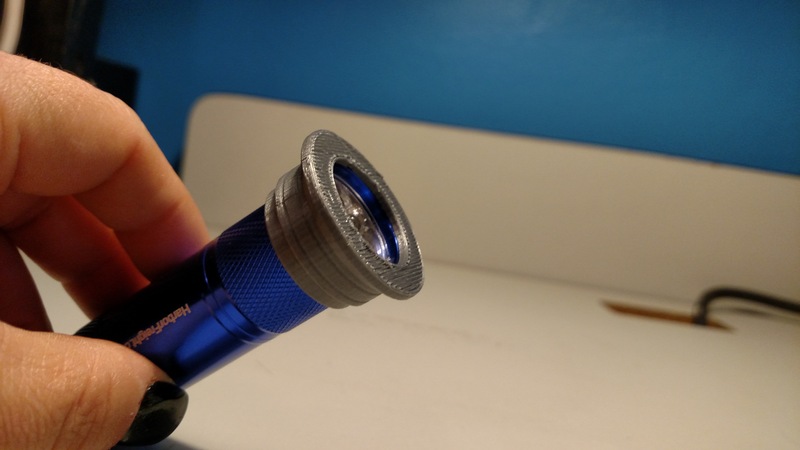 It was OK, but messy and left an unsightly film on the metal parts of the flashlight. Second time around, I used hot glue, and it was perfect! 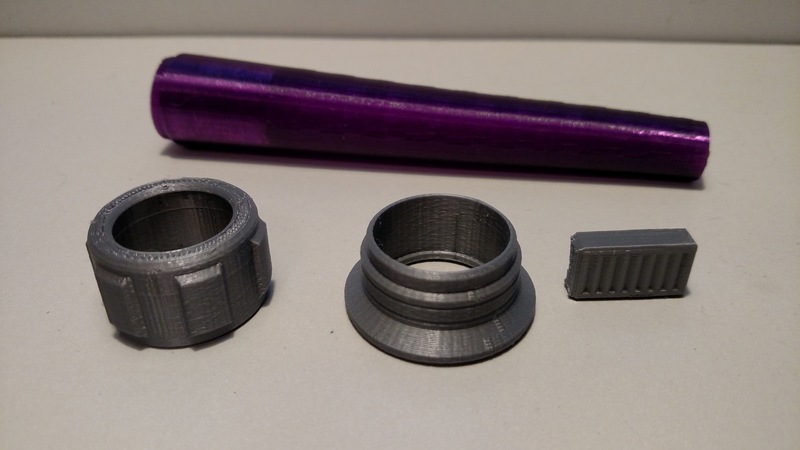 3D printed hilt and blade parts. 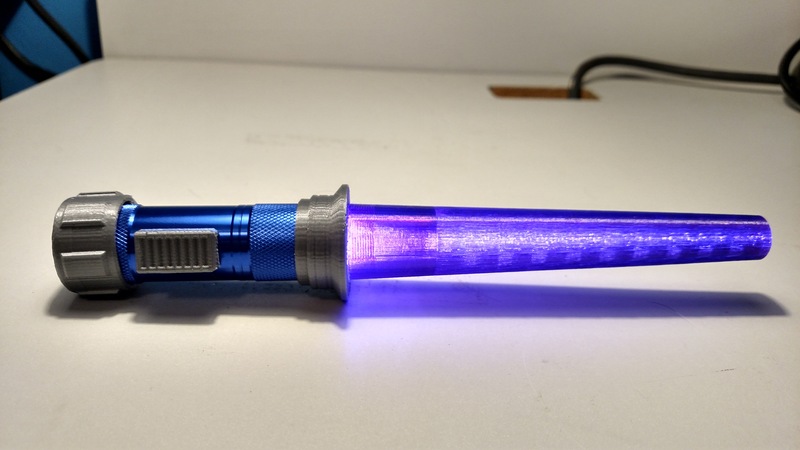 I printed the blade in translucent PLA, but it will also work with non-translucent. 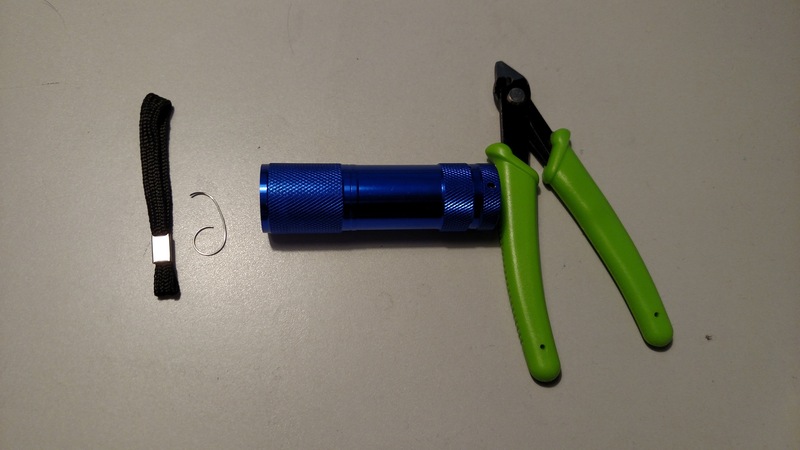 Remove the wrist strap from the flashlight. 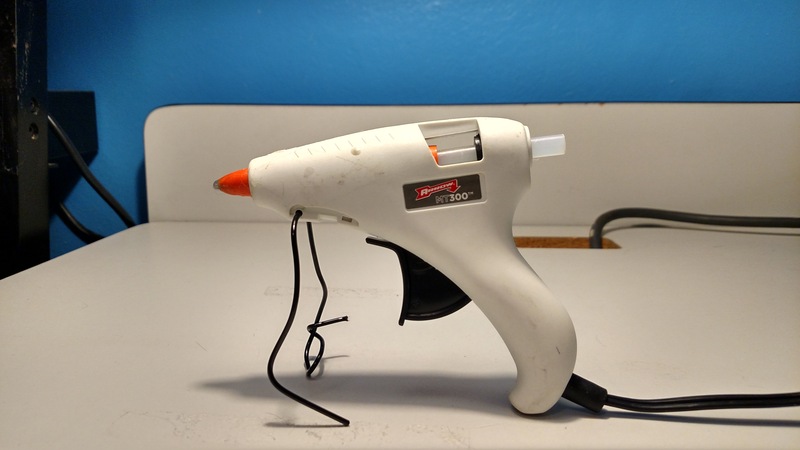 Heat up your glue gun! 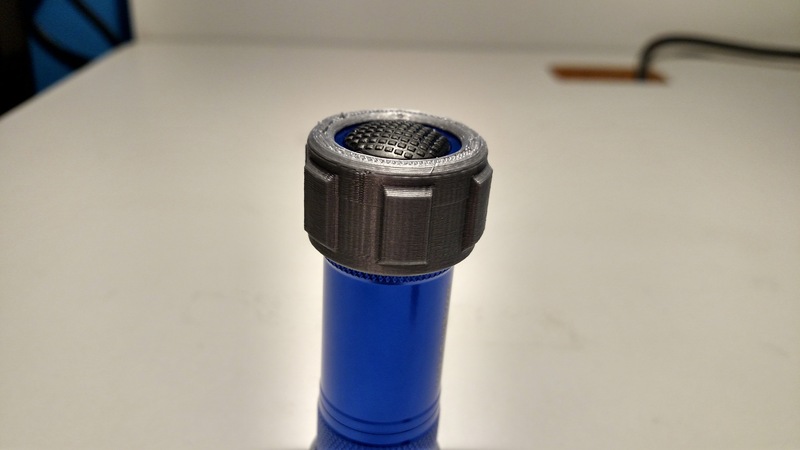 Glue the flared hilt piece to the top of the flashlight. Glue the non-flared piece to the bottom, over the power button. 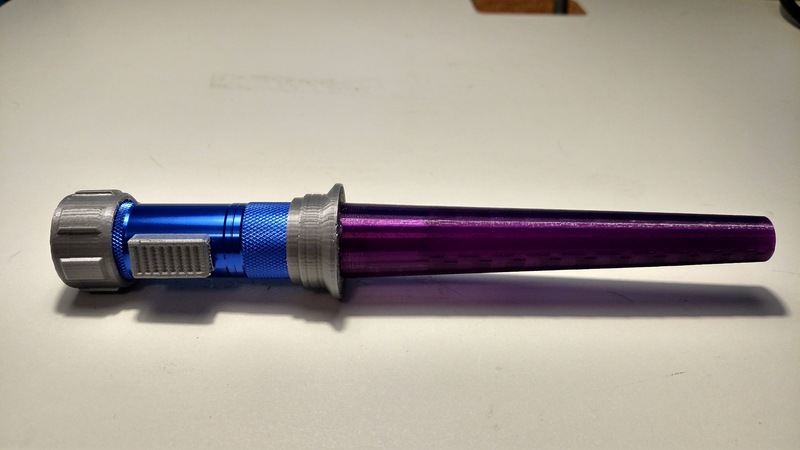 Your hilt is just about ready! You can glue the button on at this point as well. I secured mine over the Harbor Freight logo. Almost done! Now glue the blade inside the flared hilt piece over the bulbs.